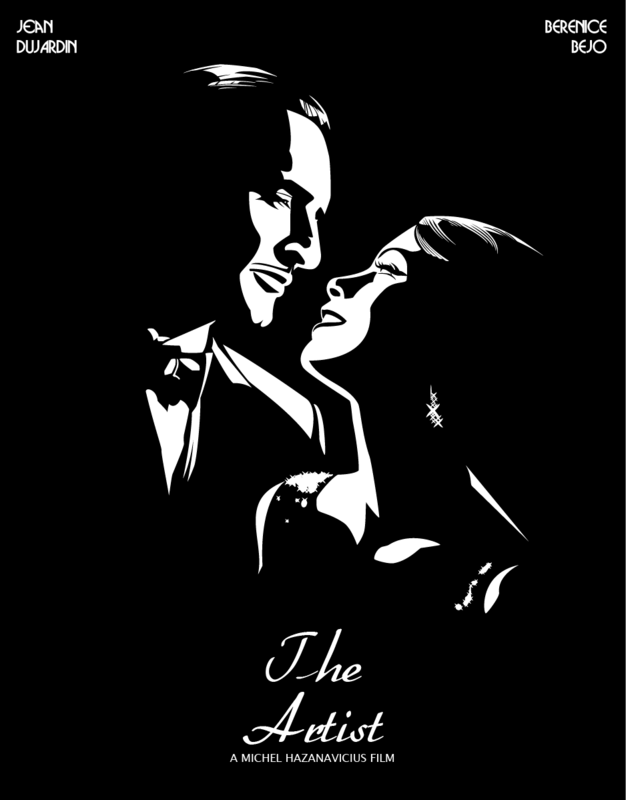 I don’t mean to be “the Randy” of this Oscar season, but “The Artist” could have been much more. It’s an example of “shifting baselines” in the film world. You are hereby ordered by law to love and rave about this movie being one of the all-time great achievements in the history of cinema even though it shows no evidence of knowing that there was once a time when silent movies actually told complex, sophisticated stories, instead of a bunch of vague silliness. Okay, I hate to be “the Randy” of the film world (a reference to the anecdote in my book where I tell about being the “Debbie Downer” of Hollywood parties by ruining people’s fun with the truth), but … “The Artist” is nowhere close to the sort of masterpiece it is being heralded as. You’re hearing Oscar audiences swooning over the new (largely) silent movie, “The Artist,” as they grind their loins in ecstasy over it’s supposed “cinematic achievements.” But they are setting the bar low resulting in a case of “shifting baselines” for film criticism (meaning losing track of past standards). I saw a screening of the movie a last fall here in L.A. with the actor James Cromwell (who is in it) speaking afterwards. The first thing he conceded is, “Well, yes, the story is very simple.” Simple? That’s an understatement. Try Mickey Mouse. It’s boy meets girl, boy gives girl big break, girl skyrockets and forgets boy, yadda, yadda. A story that’s been told a million times. NOTHING interesting. Just a little novelty tribute to the past, which is nice, but let’s keep things in perspective. Yes, it is 100% excellent in terms of technique such as music scoring (which is splendid) and cinematography (flawless). But why shouldn’t it be? In this era, given today’s technology? Big whoop. A bunch of high school kids with After Effects on their iMac can do the same today in their garage. Technology is no longer the artistic challenge. The challenge is the storytelling. And that’s where it, I guess, reveals that the filmmakers just didn’t watch many genuine silent movies. But we did in film school. “The History of Silent Cinema,” was the first course we were required to take during our first semester at U.S.C. film school, and we were lucky enough to have David Shepherd, one of the world’s best film preservationists, as our instructor (I was subsequently unlucky enough to have him be one of the first to critique my musical comedy student film which he crapped on worse than anyone else, oh, well). In that course we got to see the highs and lows of much of the silent film era. The lows consisted of some movies that put me into sleep comas so deep I didn’t even know who I was when awoke. Here’s two examples I recall. “The Musketeers of Pig Alley,” by D.W. Griffith was made in frickin’ 1912 — it’s about to be 100 years old! It is an AMAZING film and is regarded as the first movie about organized crime — it’s the great, great, great, great grandfather of “Good Fellas.” I still remember the facial expressions of the gangsters conveying all sorts of varieties of anger, suspicion, intimidation. It had multiple storylines and kept you as riveted as any modern crime film. Another film I was absolutely stunned by was the Russian silent movie of 1927, “Bed and Sofa.” It’s about a couple who lets an out of work friend move in, but when the husband goes away on work, the friend moves from the sofa to the bed, ending up with issues of polygamy and abortion. All in 1927. It was shockingly contemporary in content, and again, very sophisticated storytelling. So imagine if the filmmakers behind, “The Artist,” had watched a bunch of those old movies and then said to themselves, “Let’s show today’s audiences the state of sophistication that silent movies ended up with,” rather than this bozo piece that they’ve produced. I mean, there’s nothing wrong with having some bozo fun, but seriously, it’s kind of insulting to the past to give today’s audiences the impression that the silent filmmakers never knew how to tell interesting, complex stories. Buster Keaton, D.W. Griffith, Lillian Gish, Charlie Chaplin, Rex Ingram, and of course all the great Benshi’s of Japan (for whom this site is named) … they are all rolling in silent circles in their graves. My theme for 2012 is looking increasingly to be, “Who cares about accuracy or the past, we’re headed towards the new dark ages.” Ho hum.